When we set out to make XD 5 inch holsters for open and concealed carry, we asked ourselves what mattered to us as a business, as gun owners and as fervent Second Amendment advocates. Our conclusions resulted in the traits found in our holsters for the Springfield XD 5 inch: relentless research, development and innovation on American soil should serve lawful gun owners with a product that is as customizable as it is concealable and as reliable as it is durable. A number of interdependent teams work tirelessly to deliver on that, and provide well-made gear that supports the American public, be it civilian gun owners or the brave men and women in law enforcement and the Armed Forces. 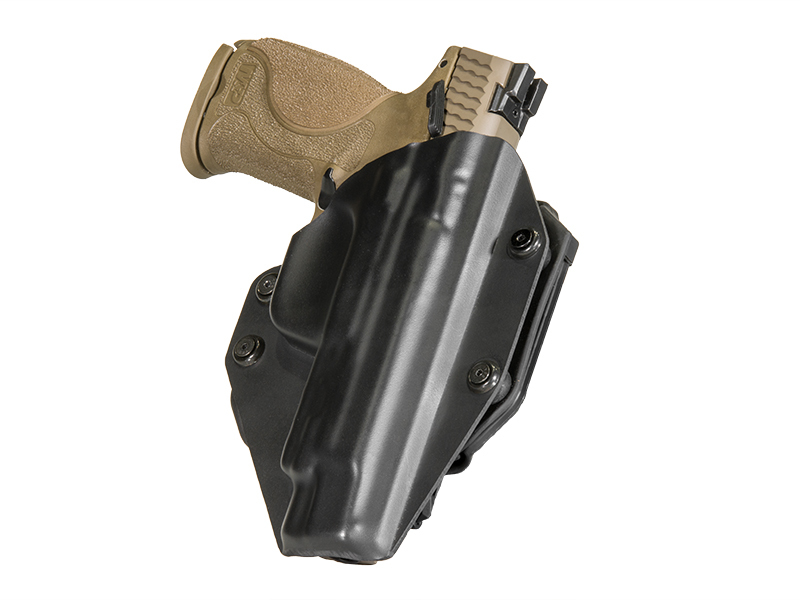 The Cloak Tuck 3.0 IWB hybrid holster provides an example of that effort to provide a product that is equally iconic and utilitarian. 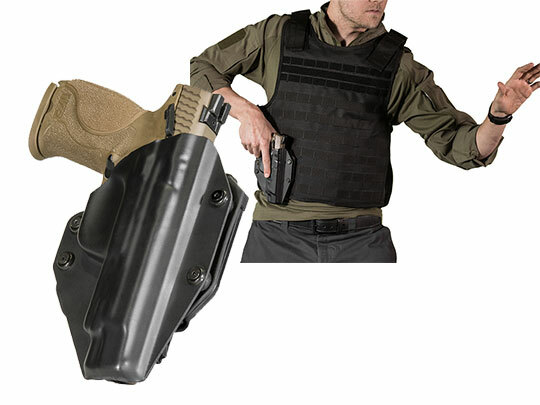 This hybrid holster's customizable traits include retention, cant and ride height. The clips can be swapped out for other options we provide. 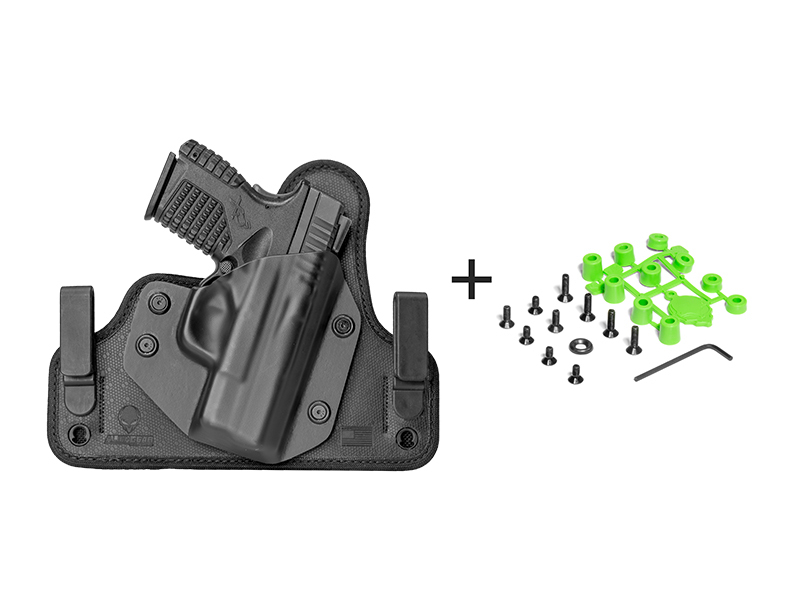 You control this IWB holster, just like you control the outcome of a deadly threat. You should never be disarmed of your ability to control a situation or your equipment. It's prevalent in the Cloak Mod OWB paddle holster as well. The paddle clip, which has an added retention lip to prevent being disarmed, can be swapped out for a belt slide attachment. Its cant and retention can also be tuned to preference. 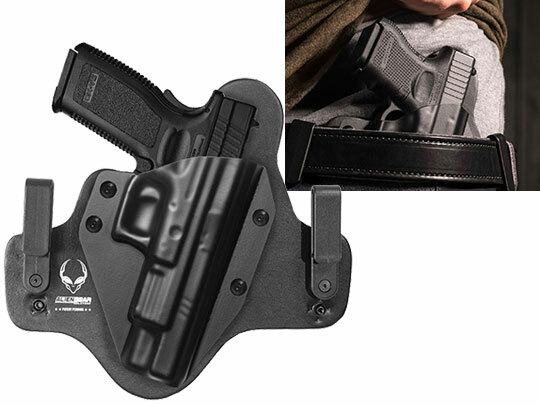 The Cloak Slide is another XD 5 inch OWB holster we offer. It's an open carry leather belt slide holster made with a high quality leather backer. 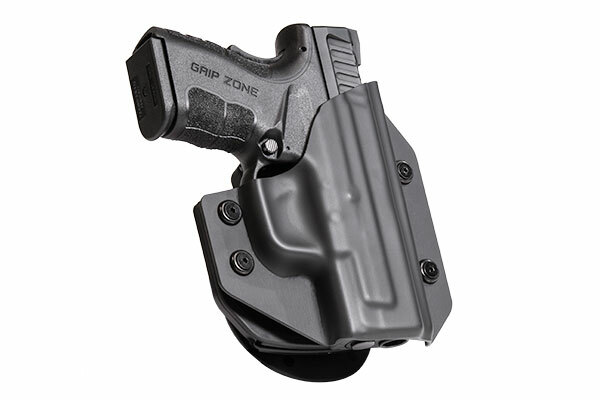 It features the swappable shell that's used in the previously mentioned holsters. 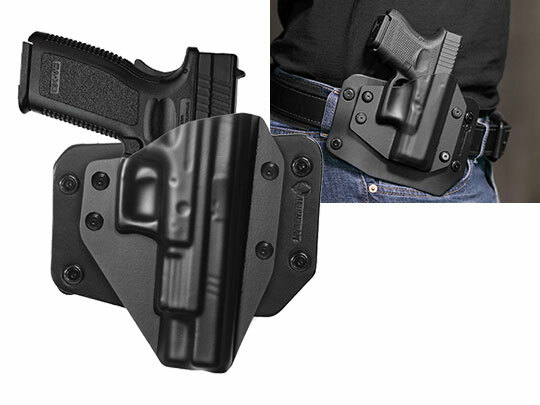 The Classic Cloak Tuck is the IWB leather holster equivalent to the Cloak Slide. 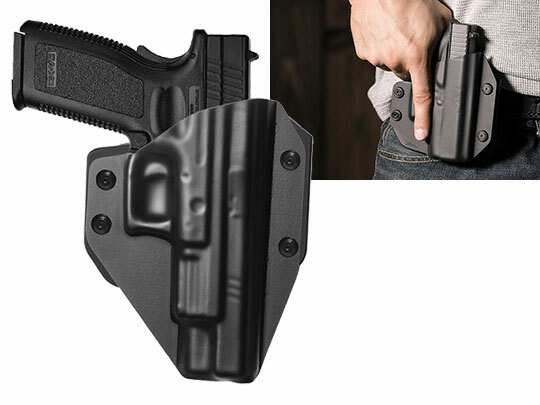 Cloak Mag Carriers shift another freedom over to the everyday carrier: spare magazines carried IWB or OWB for added security. They're offered in single and double configurations. All of this equipment is backed by an Iron Clad Guarantee — under our Forever Warranty we will repair or replace anything that malfunctions on the holster, as per our 30-day test drive we'll buy the Springfield XD 5 inch holster back within the first month if you aren't satisfied and according to our free shell trades for life promise we will send out new shells for the Cloak Tuck 3.0, Cloak Tuck, Cloak Slide and Cloak Mod if there is an issue.